Benjamin Novotony represents the family of a disabled man who was found bruised and paralyzed at a group home. The civil lawsuit brought by Lubin & Meyer PC is bringing new information to light. 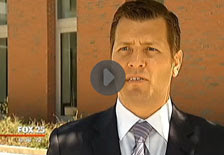 For more details, see the FOX 25 news story below.